The tower in question belonged to Shadow Cartel [SHDWC] and was reinforced by Siege Green. [SSGRN]. The two alliances had warred for several months by then, as Shadow Cartel supported Did he say Jump [JMP-N] in the struggle over Heimatar moons against Siege Green. and allies. Pushing against Shadow Cartel, Siege Green. attempted to take down the tower in Genesis prompting the fight. Shadow Cartel formed a 40 pilot Rattlesnake battleship fleet with several Minokawa force auxiliaries in tow to use as the fleet’s logistics backbone. The ships were also meant to repair the damage done to the tower’s shields once they exited their invulnerability phase. The fleet arrived in system and set up on the tower itself. Siege Green. had a 50 pilot mixed Megathron Navy Issue\Machariel battleship fleet including a combat carrier squadron and supported by force auxiliaries. The force had set up in the system and waited for Shadow Cartel forces to arrive in the system. Once Shadow Cartel had commenced repairs, the Siege Green. fleet warped in and landed near the Shadow Cartel’s force auxiliaries. The Shadow Cartel fleet prepared to engage the hostiles but the battleships were teleported away from their force auxiliaries by a third party gang of command destroyers. This allowed the Siege Green. fleet to open fire on the force auxiliaries, blasting their shields at close range. The Shadow Cartel fleet quickly re-grouped and warped back into the fray, lighting a cynosural beacon on the field while engaging the hostile fleet at point blank range. Into the field a squadron of dreadnoughts materialized. The Shadow Cartel reinforcements entered their siege cycles and started firing on the Siege Green. ships, targeting the force auxiliaries. Siege Green. reacted in kind, lighting a cynosural beacon of its own while targeting the new arrived dreadnoughts. Autocannons, blasters and fighter squadrons concentrated their fire on bringing down the Shadow Cartel capitals. A bloody exchange ensued as both sides traded capital ships. Shadow Cartel brought down force auxiliary after force auxiliary, forcing Siege Green. to jump in replacements. Siege Green. for its part destroyed the dreadnoughts just as fast. The fight continued at full throttle. Shadow Cartel seemed to gain the upper hand as its dreadnoughts, aided by the Rattlesnakes, dispatched force auxiliaries, hostile dreadnoughts and even combat carriers. Siege Green. did not relent and kept bringing in reinforcements, fighting tooth and nail. Dreadnought after dreadnought fell to its combined barrage. Yet, it was not enough. The continued loss of force auxiliaries had a heavy toll on the fleet. The speed at which those ships were destroyed deprived Siege Green. of reliable logistics wing which resulted in losses mounting. Battleships came to suffer the same fate of their capital cousins as Shadow Cartel’s fire shifted to them. Shadow Cartel wasn’t in the best shape either, exhausting most of its dreadnought reserves in the fight. For a few moments it seemed like Shadow Cartel would win the fight, that is until Snuffed Out [B B C] and allies intervened. 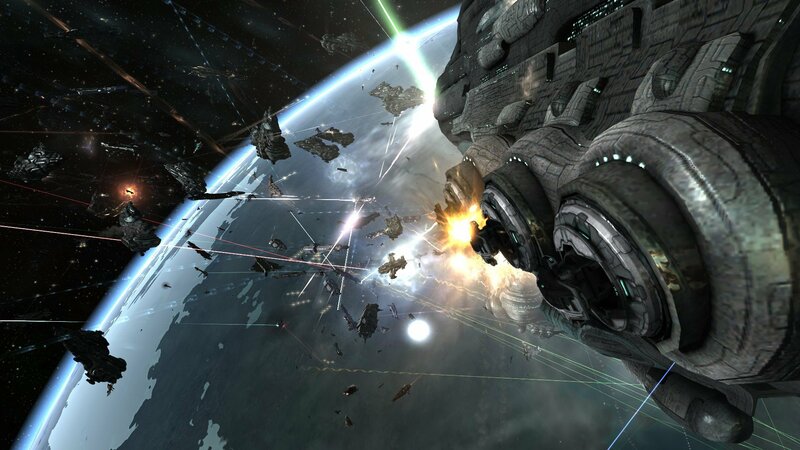 The alliance with its allies spotted the fight in progress and assembled a joint 60 pilot Proteus strategic cruiser fleet. With the long history of rivalry between Shadow Cartel and Snuffed Out, it was obvious which side the Proteus fleet would take. The strategic cruisers burnt to the system, reaching at the 20 minute mark of the fight and warped into the fray. Once in, the strategic cruisers added their firepower to the mix, concentrating on the Shadow Cartel’s battleships. Bolstered by the Snuffed Out reinforcements, the resurgent Siege Green. pushed Shadow Cartel back, destroying the last of its dreadnoughts and volleying through the battleships. Shadow Cartel’s force auxiliaries found themselves struggling at that point, as many of them had run out of capacitor booster charges. With no energy left, the Minokawas proved useless as their remote shield transfers sputtered out and shut down. With no logistics backbone and fighting outnumbered and outgunned, the Shadow Cartel fleet commander had no choice but to order retreat. The ships still mobile burnt into the shields of the tower before warping off the field. Siege Green. and its reinforcements attempted to tackle and destroy whatever they could, dispatching the Shadow Cartel force auxiliaries and remaining dreadnoughts. With them gone and the Rattlesnake fleet in retreat, Siege Green. destroyed the tower itself which remained vulnerable throughout the fight. Once the tower was gone, Siege Green. planted its own and extracted the remainder of its force along with Snuffed Out. Thus the fighting came to an end. Battle report for the Menai system can be found here. All told the battle lasted 39 minutes with Time Dilation not reported and the system hosting an estimated 200 pilots during the peak of the fighting. Shadow Cartel lost 34 ships in the fighting, including 14 dreadnoughts, 2 force auxiliaries and 14 battleships for a total of 51.05 billion ISK damage. Siege Green. lost 46 ships, including 3 dreadnoughts, 8 force auxiliaries, 4 combat carriers and 23 battleships for 59.15 billion ISK damage. Snuffed Out and allies lost 3 ships including 1 strategic cruisers for a total sum of 704 million ISK damage. I simply want to tell you that I’m all new to blogging and absolutely liked your web site. Most likely I’m want to bookmark your website . You surely have great well written articles. Bless you for revealing your webpage. I would truly like to make a blog site yet. I’m not exactly sure what type of blogs get one of the most web traffic? What sort of blogs do you surf? I mainly browse picture blogs and also style blog sites. Just obtaining a poll right here many thanks!.